There have been a number of encouraging reports these past several months, helping to fuel new highs in the popular SP500 stock index. 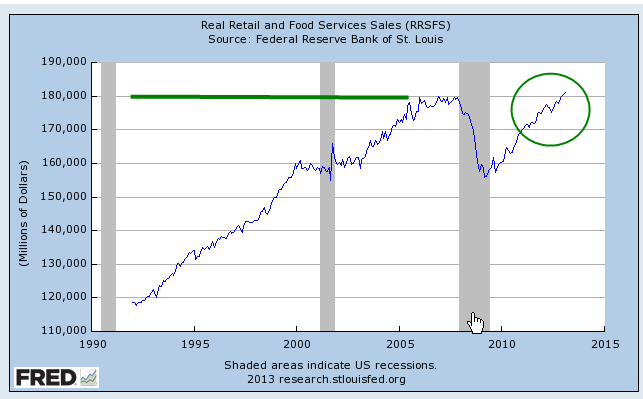 After falling off dramatically five years ago, real (inflation adjusted) retail sales finally surpassed 2007 levels. Housing prices around the country are on the mend. 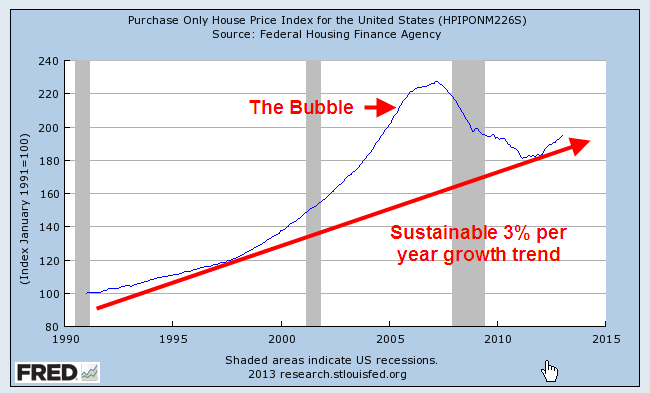 Although the purchase only home price index is still below the vaulted levels of the bubble years, it is exactly where it would have been if there had been no bubble and housing prices had grown at their customary 3 – 4% per year. 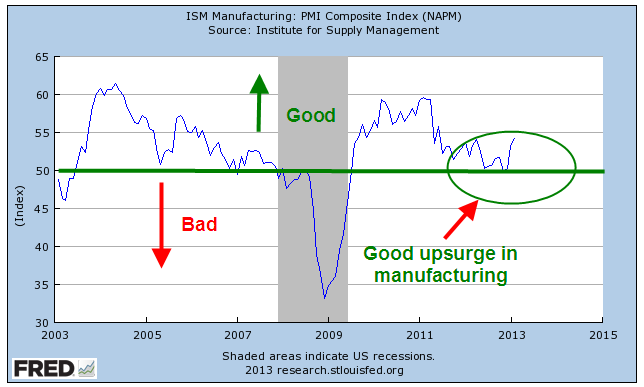 In recent months, the manufacturing sector of the economy has surged upward, rebounding from weakness in the latter part of 2012. For the past year, the Eurozone has been in or near recession, yet some are hopeful that increased demand in this country and some emerging markets are helping to balance the contractionary influence of decreased demand in the Eurozone. Let’s hope that this surge in the first part of the year does not fade as it did in 2012. 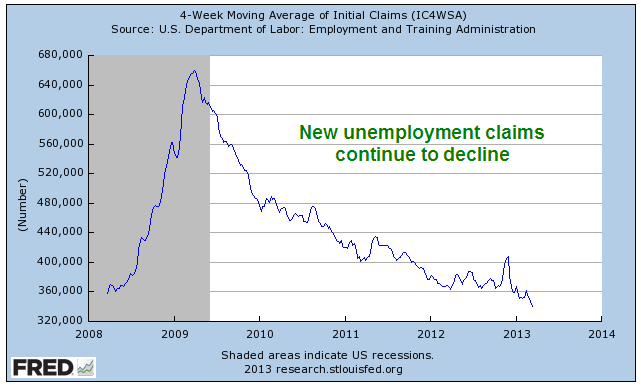 New claims for unemployment continue to decline. But a 7.7% unemployment rate and a record 14 million disabled (SSA Source) show that the labor market is still sick. 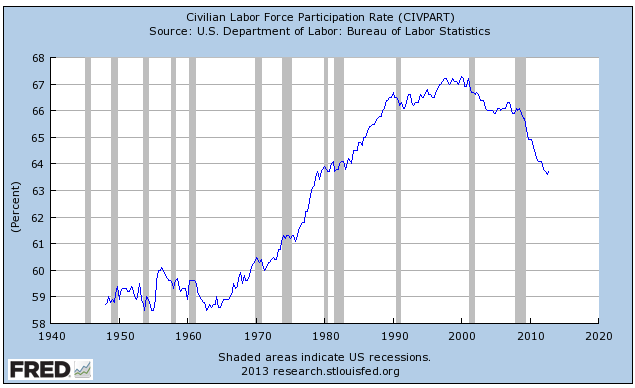 The percent of working age people who are working, or the participation rate, continues to drift downward. 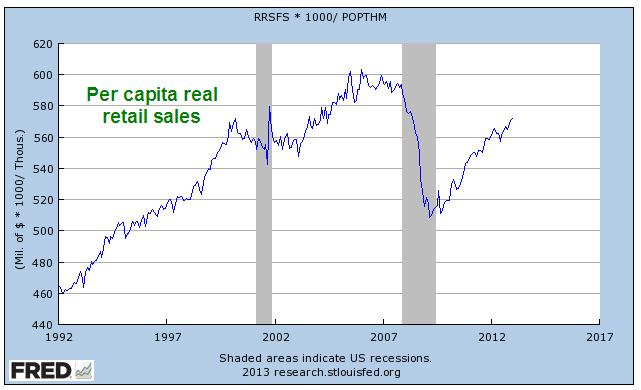 While the steadily improving retail sales indicate growing consumer confidence, per capita purchases are about where they were in the late 1990s, 15 years ago. 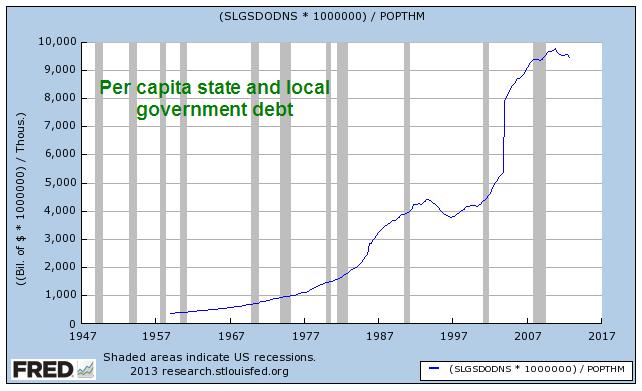 While consumers have been shedding debt, state and local governments continue to hold large levels of debt which does not include promised pension and health care benefits to retirees. Federal Spending continues to outpace receipts, adding to the debt at a rate of more than 4% per year. 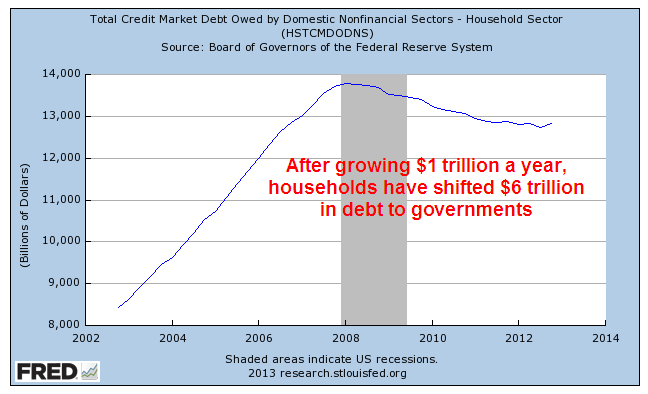 At that rate the debt will double in about 18 years, reaching $30 trillion in 2030. 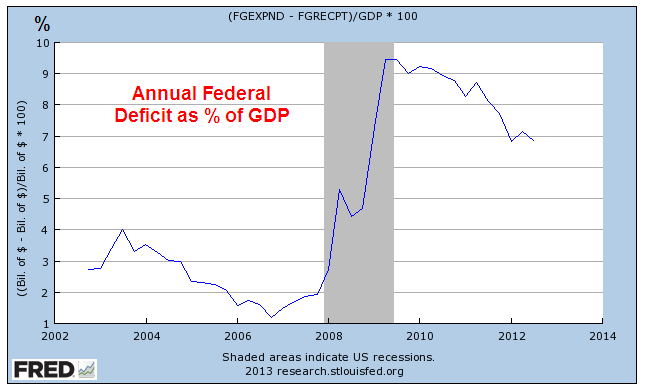 As a percent of the entire economy of the country, the deficit or annual shortfall between spending and revenues is still about 7%. As housing prices recover and households either pay down or shed debt in foreclosure or bankruptcy, household balance sheets are looking better. What has happened in the past five years is a massive shift of household debt to the balance sheets of local, state and federal governments. The blossoms catch our eye, inspiring hope, causing some to not notice the blight. But the stock market, the barometer of millions of watching eyes, tells a more complete story. 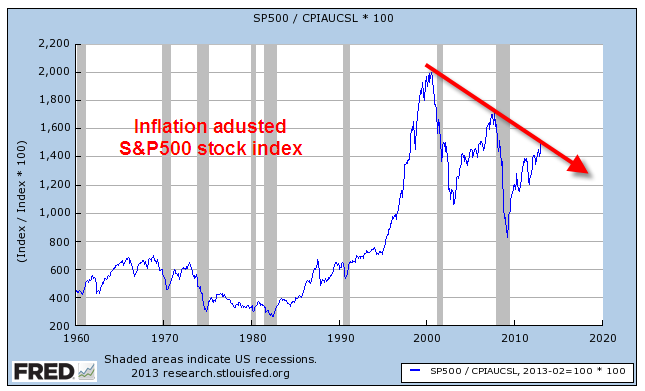 While the stock market has shown renewed optimism in the past several months, its inflation adjusted value indicates a more tempered enthusiasm for the long term future of the economy and corporate profits.